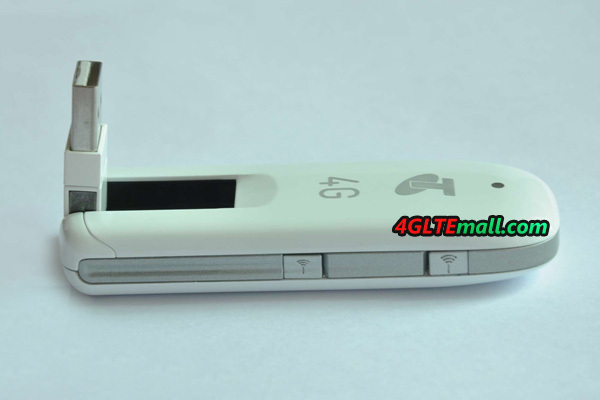 Today, we get a new 4G LTE USB datacard, the 4G aircard model number is ZTE MF821. 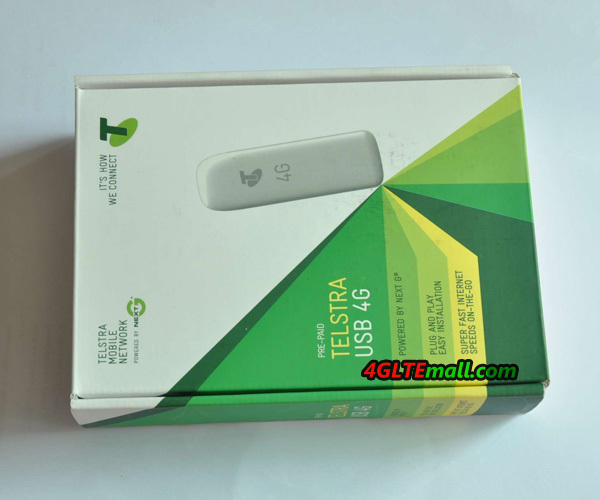 The 4G modem is packed well in a box, there is the operator’s logo “Telstra USB 4G” on the front box, and the information is telling user this 4G USB modem. The ZTE MF821 is already unlocked by our group, so users don’t need worry about the lock issue. 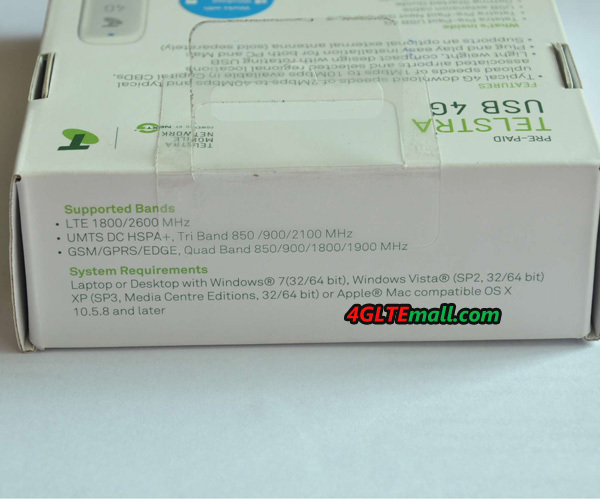 At the side of the box, we can see that LTE Frequency bands that ZTE MF821 could work with. The specification indicates MF821 could support FDD LTE 1800/2600Mhz, but per our information from the manufacturer ZTE, the modem MF821 4G aircard could support band 1, band 3 and band 7(1800/2100/2600MHz), we suppose this band is not activated because the operator Telstra is not providing the LTE band 1 (2100MHz). And the 3G DC-HSPA+ Tri-band (850/1900/2100) is backward compatible. Under the 4G LTE network, user could enjoy high speed up to 10Mbps. Even on 3G network, ZTE MF821 could reach speed to 42Mbps. 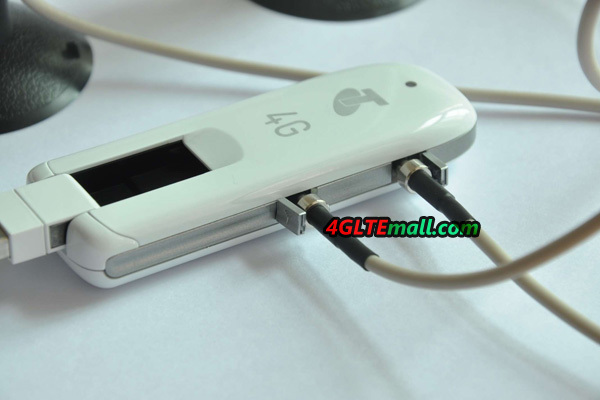 Open the package, we can see the 4G dongle ZTE MF821. 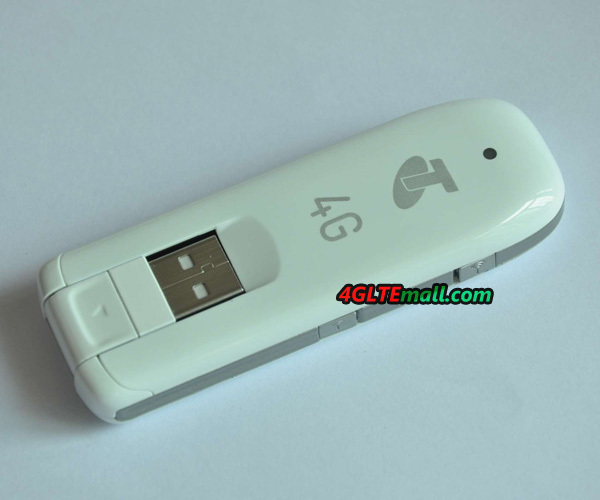 There is a logo of “4G” and “T”, which means Telstra 4G. On the side, we can see two small icon of signal; they are two hidden connectors for external antennas. This feature is important for 4G data transmission, and it lets MF821 different from MF820 or MF820T. On the other side, there is no slot. 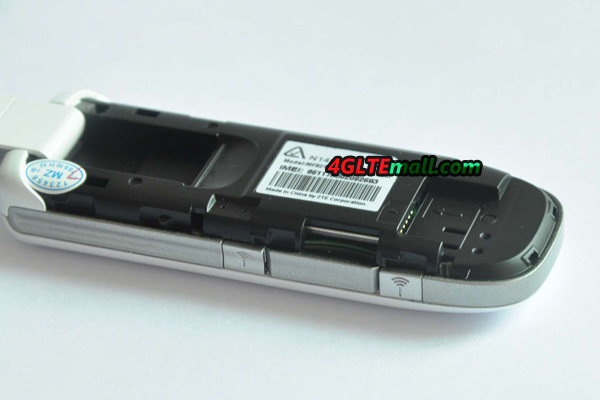 The USB of ZTE MF821 is rotatable for 180 degree, user could hide the USB in the body of MF821. User need open the back over and find the SIM card slot. On the SIM slot, we can see the model number, IMEI number, place of origin (Made in China) and manufacturer ZTE Corporation. And close to the SIM card slot, there is a slot for MicroSD memory card. The MF821 could support maximum 32GB SD memory card.